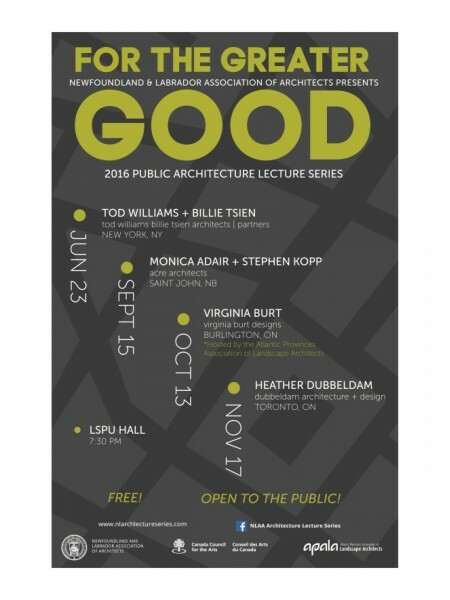 Heather was invited to lecture in St. John’s, Newfoundland, this month as part of the Newfoundland and Labrador Association of Architects’ 2016 lecture series. Heather spoke about our ongoing Prix de Rome research with a particular focus on Denmark, and also showcased our latest projects. She thanks Woodford Sheppard Architects for their warm hospitality.